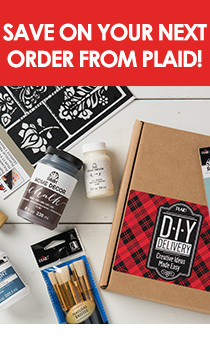 At Plaid, we pride ourselves on having our finger on the pulse of everything trending in the DIY community. Each week we share a DIY craft project to get our viewers inspired to try these ideas themselves. We've rounded up our five most viewed trending videos to help you get your crafting mojo in gear! Have you tried one of these? Share your projects with us using #PlaidCrafts on social for a chance to be reposted!